Golf Channel’s popular Big Break competition series has selected Myrtle Beach as the production location for its 22nd season, premiering Tuesday, October 7, at 9 p.m. ET. Pawleys Plantation, the award-winning Jack Nicklaus Signature Golf Course just south of Myrtle Beach on Pawleys Island, will host an episode of the popular show. Big Break Myrtle Beach, produced in partnership with Myrtle Beach Golf Holiday and South Carolina Tourism, will feature a cast of aspiring golf professionals—six men and six women—looking for that jumpstart in their golf careers with the goal of achieving their lifelong dreams of playing alongside the world’s top golfers. The season’s ultimate winner will receive an exemption to a 2015 PGA TOUR or LPGA Tour event, along with cash and other prizes. The show will also unfold on three of Barefoot Resort’s golf courses. 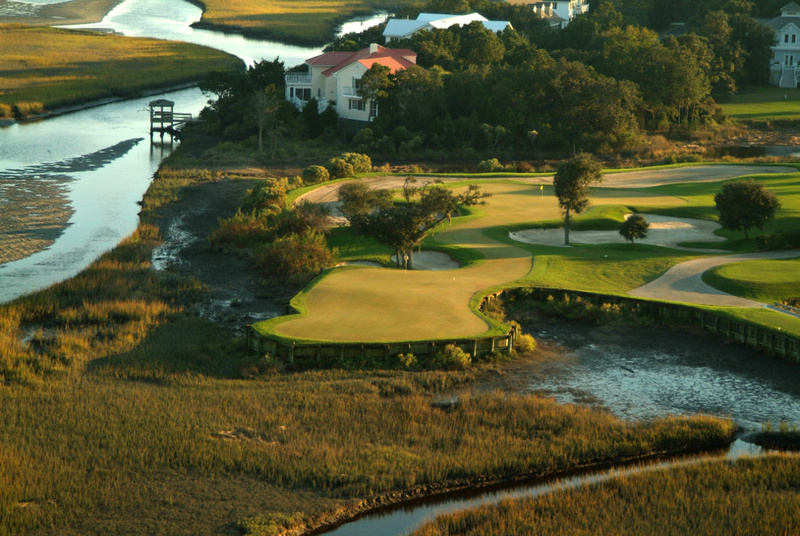 USAToday.com has called Pawleys Plantation “one of the snazziest resorts on the Grand Strand” and Travel + Leisure Golf magazine named it one of the most underrated golf resorts in the Southeast. Golf Magazine has included the course in its list of the Best Public Courses by State. The award-winning Nicklaus design layout opened for play in 1988. Golf Channel’s Big Break show concept pits highly skilled golfers against each other in a variety of challenges that test their physical skills and mental toughness. During Big Break Myrtle Beach, the competitors—who will be announced in August—will be subject to skills challenges from tee-to-green, including the popular “Glass Break” and “Flop Wall.” One contestant will be eliminated each week, with the last player standing awarded his or her Big Break, an opportunity to compete on the PGA TOUR or LPGA Tour in 2015. For the past 21 seasons, Golf Channel’s Big Break competition series has proven to be the launching pad for many aspiring professional golfers looking to take that next step in their golf careers, including PGA TOUR winners Tommy “Two Gloves” Gainey and Matt Every, and U.S. Solheim Cup participants Kristy McPherson, Gerina Piller and Ryann O’Toole. Several other past Big Break competitors are currently competing on the world’s top tours, including Tony Finau, James Nitties and Mark Silvers on the Web.com Tour, and Nicole Smith, Jackie Stoelting and Kim Welch on the LPGA Tour.